North Africa-based Royal Air Maroc is joining Oneworld, giving the alliance a much greater reach throughout Africa, the Middle East, Europe and beyond. Members of other Oneworld airlines' frequent flyer schemes, including Qantas Frequent Flyers, will be able to earn and redeem points on numerous destinations to and from the airline’s hub in Casablanca, Morocco, as well as enjoying status-based perks such as priority check-in and lounge access when flying on Royal Air Maroc. However, those alliance-wide benefits won't be available until Royal Air Maroc's Oneworld membership officially kicks in around mid-2020. While this is not Oneworld's first foray into Africa – British Airways' affiliate Comair runs flights around the south of Africa – Royal Air Maroc will be the alliance's first full member from Africa. Its regional subsidiary Royal Air Maroc Express will also become a Oneworld affiliate. Royal Air Maroc is Oneworld's 14th member airline, and today's announcement comes ahead of the alliance's 20th anniversary in February 2019. For those intending to explore or do business around the vast African continent, Royal Air Maroc has plenty of links from Europe and the Middle East to Casablanca, then onwards to more than 40 destinations within Morocco and other African countries – 34 of which will be new to Oneworld's map. For Australians, the major connecting hubs onto Royal Air Maroc’s network will be in London/Heathrow for Qantas travellers, and Doha for Qatar Airways passengers. From Casablanca, Royal Air Maroc airline also flies to Montréal, New York and Washington in North America, as well as São Paulo and Rio de Janeiro in South America. Boston and Miami will be added to that list in 2019. Royal Air Maroc plans to to extend the reach of its network from the current 94 destinations to 121, as well as boost flight frequencies in many established markets, over the next five years. Royal Air Maroc's fleet is built around thirty-eight Boeing 737s, three Boeing 767-300ERs and five Boeing 787-8s, with the first of four Boeing 787-9 Dreamliners due this month. There’s also nine smaller ATR and Embraer jets for regional routes. 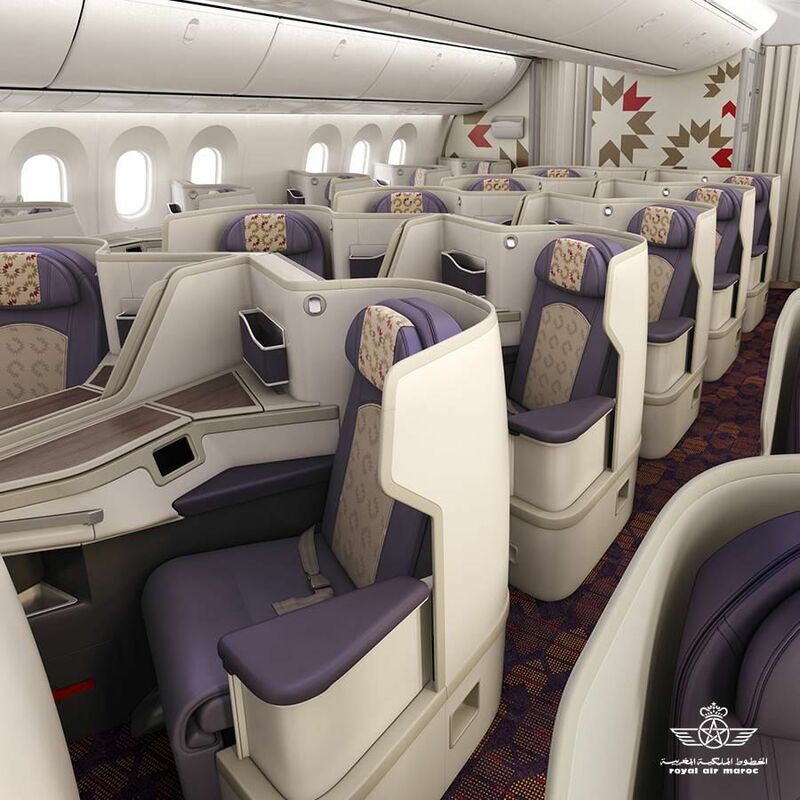 ... while the new Boeing 787-9 jets have a more modern 1-2-1 busienss class. The aging Boeing 767s feature 12 angle-flat seats, over two rows of 2-2-2. The Boeing 737s have 12 recliners in three rows of a 2-2 layout, not dissimilar to Qantas’ 737 business class and a marked improvement over the typical ‘Euro-Business’ seat found on single-aisle jets dashing across European skies (and sometimes to North Africa too). In the coming weeks, Royal Air Maroc will move into the refurbished Terminal 1 at Casablanca Airport, which features its appropriately-named Casablanca Lounge for business class travellers and top-tier members of the airline's Safar Flyer loyalty scheme. Congratulations to both oneworld and Royal Air Maroc (AT). This has been a long time coming. What I find interesting is that in all the oneworld hoopla PR announcement, that no 'sponsoring' carrier has been announced / specified for Royal Air Maroc's entry. This is an unusual departure from previous oneworld entrant announcements. Could it be that Qatar Airways (QR) is the sponsoring carrier, given their already close relationship with RAM? Perhaps the decision to de-emphasize the sponsoring carrier was a 'diplomacy' move on oneworld's part, given QR's (as yet unrealised) threat to leave the alliance? A couple of other interesting points, as well. The oneworld official announcement fails to add the recent AT route announcement of the opening of confirmed routes to both Boston (BOS) and Miami (MIA). Further, in the above article AT is referred to as having 18 "fully flat" B787 Dreamliner seats whereas the oneworld announcement states "Royal Air Maroc offers a two-class Business and Economy product on most international routes, including seats that convert to angle lie-flat beds in its premium cabin". Given that AT already has a fleet of B787-8's and is due to receive it's first of a small B787-9 fleet in the next few weeks, perhaps the oneworld announcement needs some updating, given that RAM's own website doesn't list the seats for the Dreamliner as either 'fully lie flat' or 'angled lie-flat'? Hi Kimshep, yes we did notice the press release mentioned 'angled-flat seats', but the B787 business class seat definitely goes close to fully-flat. My understanding is that oneWorld have done away with the need for an overseeing sponsor - and the oversight of the introduction / integration is now done by oneWorld itself. Looking forward to one of your reviews then..
We’ll be on a Royal Air Maroc business class flight as soon as the airline invites us! The business seats look the same as those on Royal Jordanian? I fly RAM quite often into Mauritania, they're definitely the most convenient option into NKC, as well as OUA and NIM. Their 737 service in both Y & J is really consistently good. 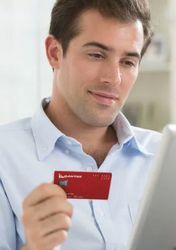 Will be great to be able to earn and use Qantas points on them! Probably not until mid-2020 (when RAM has all its IT systems talking to all Oneworld partners). There’s usually a 12-18 month lag between an airline ‘joining’ an alliance and that membership properly taking effect. It would be logical for them to add Johannesburg as a destination too then, to get flow connections from QF63. However QF decide to run that flight maybe different by 2020 though when they remove the last 747 from the QF fleet at the same time as RAM start the alliance partnership. I hope RAM have lifted their game. Hopefully oneworld will ensure an uplift of standards. Its otherwise a solid but super mediocre carrier that can be a shambles at times. I would rate Royal Jordanian and Sri Lankan far superior. 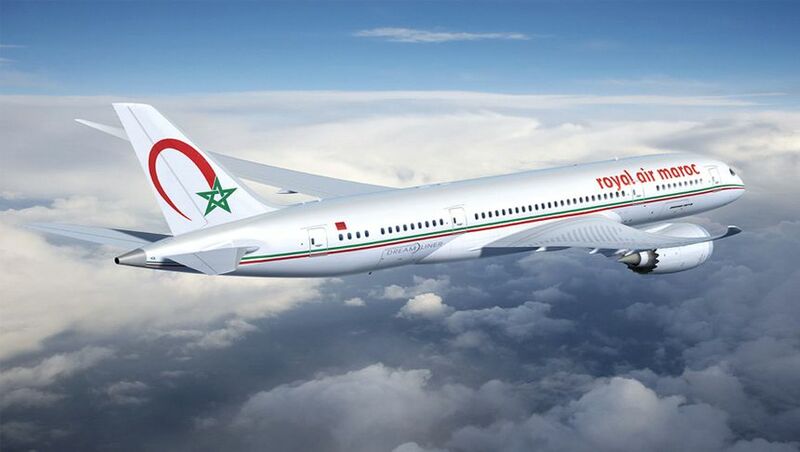 Comment on "Royal Air Maroc joins Oneworld, opening up new links to Africa"